Back in May of 2010, I introduced the (then tiny) tenkaraverse to the concept of using EZ Keepers as an on-board line management system. 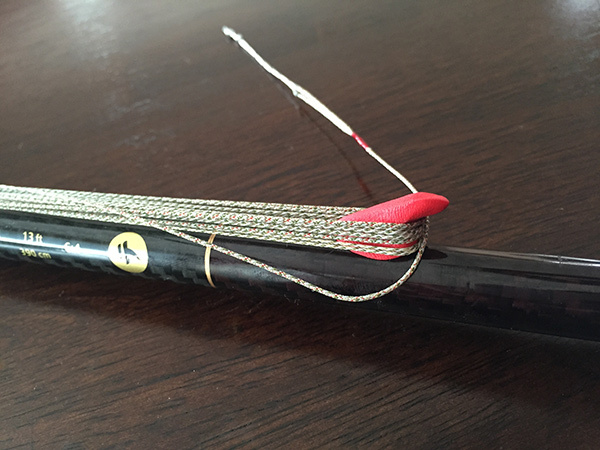 Since then, I’ve seen more and more people adopt this method of storing their line on their tenkara rod without the need for a separate spool. Some people love it, some still prefer spools. 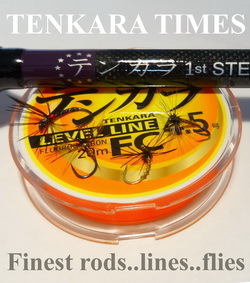 But with all the photos I’ve seen online using EZ Keepers, there’s no doubt that a significant number of tenkara anglers see being able to store their line directly on their rod as an advantage. Recently, I came across a new product called Sugru. It’s a moldable, Play-Doh-like adhesive that pretty much sticks to anything and cures in 24 hours into a hard, rubber-like material. 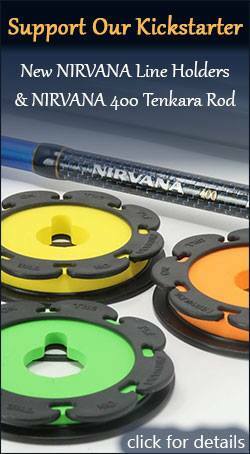 When I first encountered this product, I immediately thought of two applications for tenkara: 1. a DIY line spool, and 2. an on-rod line holder similar to my EZ Keeper system. 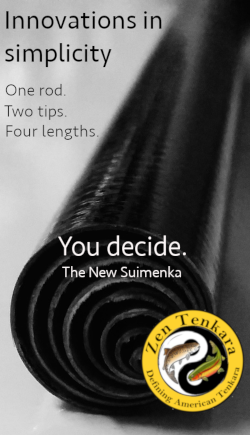 What the heck does Sugru have to do with tenkara? To put it diplomatically, the first idea didn’t really pan out. After a lot of frustration and exhausting the entire compendium of curse words in the English language, I realized this was not the right material to make a line spool. I had carefully plotted the design: a center spindle sandwiched by two thin plates with a center hole cut through. It sounded simple enough, but the reality is that Sugru is more like glue than Play-Doh. It’s difficult to work with in any form of complexity beyond simple finger molding and it doesn’t play nice with rolling pins, scissors, or even “non-stick” mats. So I gave up on the idea and opted for the simpler, easier second idea: line holders. Within about 5 minutes, I was able to fashion a line holder to one of my rods. I just made two “hooks” and stuck them directly on the rod blank in opposing directions. The effect is the same as the EZ Keeper, but without all the fuss and frustration of dealing with those always too-tight O-rings. You’ll get the idea from the pictures. As with any new idea, there are pros and cons to both. Sugru has the advantage of full customization so you can make any style you want to suit your needs and get creative. Another plus is that it’s now available at major retail outlets like Target so you can just run down to your local store and pick it up rather than having to order online, wait, and pay extra for shipping. The downside is that you have to buy a minimum of a 3-pack for about $12. 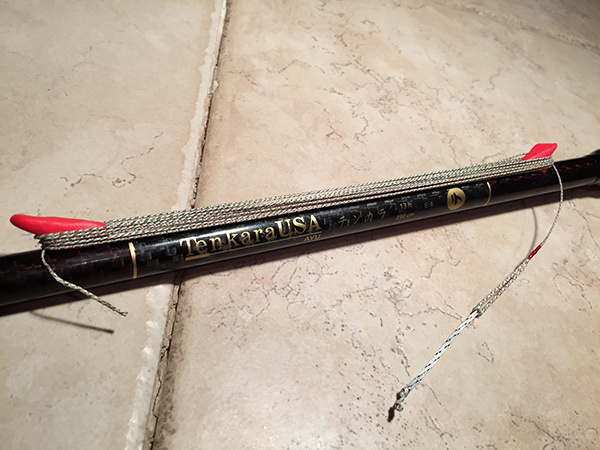 So if you only have one tenkara rod, EZ Keepers would actually be cheaper. 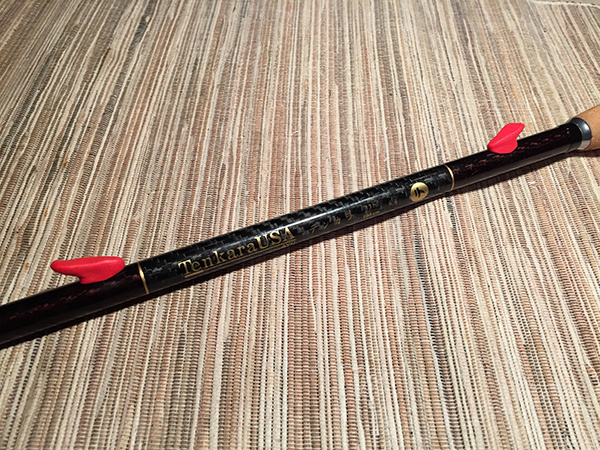 But if you have multiple tenkara rods you want to set up, it’s an extraordinary value. New technologies like 3-D printing and Sugru are exponentially taking creative power away from manufacturers and putting it in the hands of do-it-yourselfers. This is a trend I like. I’m sure there are other applications of Sugru for tenkara I haven’t thought of yet but I hope this post will inspire others to come up with more. 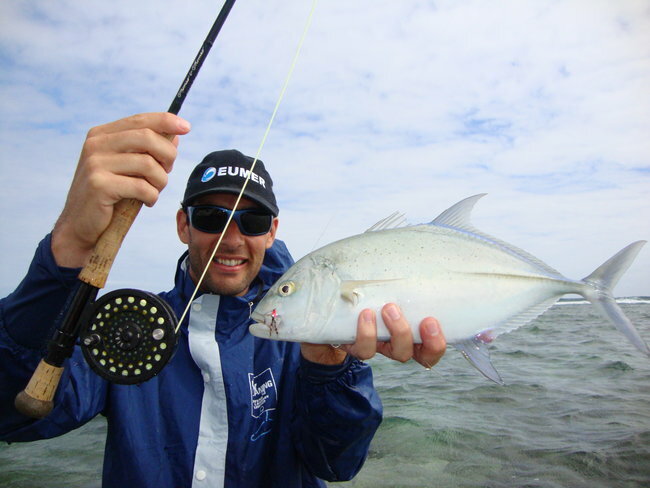 What weight did adding those two pieces add to your rod? Love the innovation on Kevin Kelleher’s idea. This stuff is neeto. Thanks for sharing. Hey Erik, my idea to use EZ Keepers was completely independent of Kevin. He may have been using them before I stumbled onto them at Bass Pro Shops, but no one on the Internet had ever talked about them back then so I wouldn’t have known. I had my own, original epiphany about them and shared it on my blog as soon as I could because I thought others might like it. I guess they did. I think the Sugru is an even easier way to accomplish the same thing. In the time it takes you to finagle the O-rings and other hardware, you could have fashioned DIY line holders to your rod. The only difference is you have to wait overnight for it to dry. My postal scale has apparently gone AWOL. After an extensive search, I’ve discovered 2 Mora knives I’d forgotten I owned and one Spyderco. That was nice but still didn’t turn up a scale. So I can’t give you an exact number, but if I had to guess the weight, I’d say (dry) it adds an ounce or so to the rod? Can’t verify that until I recover my scale. Love your innovative, creative, keep-it- simple thinking Jason. 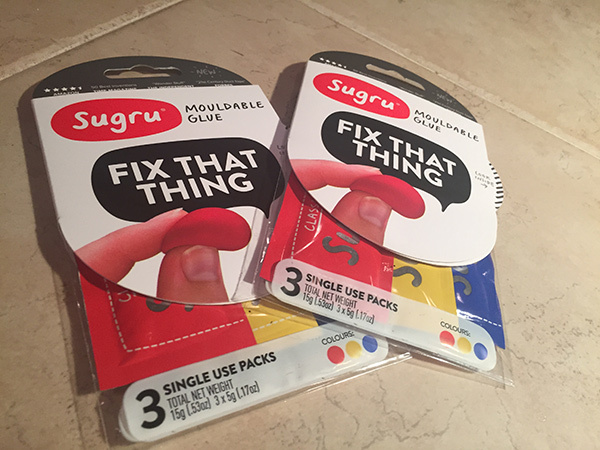 I was intrigued by Sugru after seeing it on Facebook. Now I know the stuff is a must-have. The uses are endless! Thanks for the tenkara application. Got any more great ideas? Hey Karin, thanks. I don’t really have any other ideas at the moment. Like I said, the line spool didn’t work out as planned. From my experience, Sugru seems to be only good for making small, simple things so it’s somewhat limited. I could see making a replacement rod plug or something like that. I found a similar product that was more of a solid polymer. I bought it about a month ago but still haven’t played with it. My first thought was fly spools too and a line holder like you came up up with with the clip on feature. The polymer material I found was similar but different in that it was put into hot water to form the polymer base. Then when removed from the water was very pliable and shape-able. The best part… When you put it in hot water again, it dissolves and goes soft again. More forgiving? It can also be painted. I will eventually pull it down of the shelf and play with it a bit. I was thinking about some other uses as well. I will be looking at getting some of this stuff too though. Looks like a lot of fun. In some ways I like this system even better than the EZ-Keepers because it is more streamlined and more secure while going through brush with your line figure-8ted over the buttons. And the price is surly right. 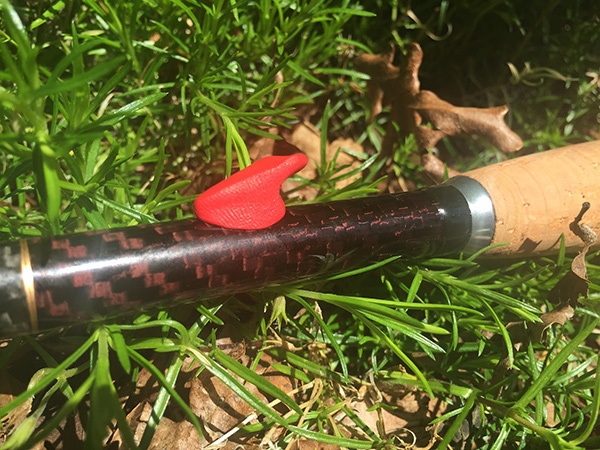 And if you try hard enough, you might even be able to find rubber bands and buttons that match or compliment your rod’s finish. I kept loosing my ez keepers when the bands would fall off. Finally designed my own method using large paper clips and an ‘o’ ring kit from Home Depot that has an assortment of sizes of rubber rings to fit my assortment of Tenkara rod sizes. One paper clip, bent slightly on the rod shaft secured by the rubber ‘o’ rings and one paper clip manipulated to be secured by the handle end cap and I have a nice secure system that actually gives me less line memory problems than the ez system. 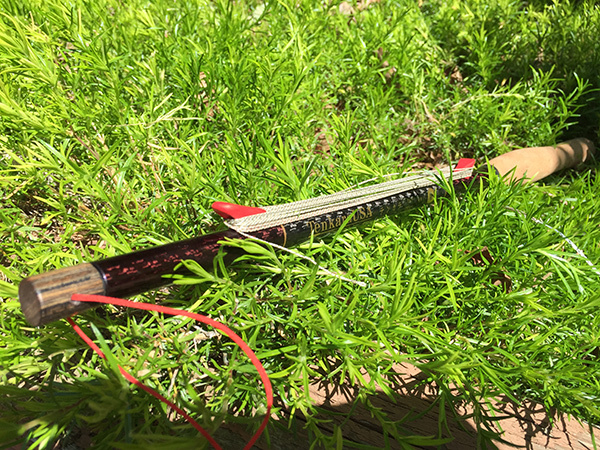 I build my own line keeper by bending & trimming paper clips. Then attach with rod wrap thread & epoxy. Nice built into the rod look! Did I miss your vacation announcement? Been quiet around here for awhile, huh? Hey Colin, I’ve been super busy with work lately and was out of the country for a couple of weeks. I’m hoping to get back to posting soon. Sorry for the delay but more content is on the way. 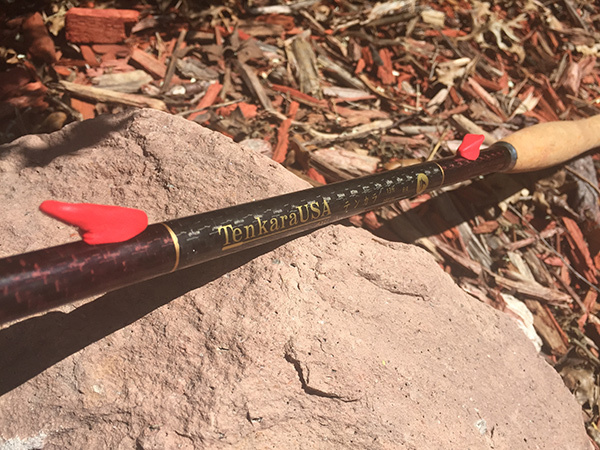 If you feel that the rubber bands look tacky or their light color bothers you, they can be colored most any color you like with a H2O proof felt marking pen to be less obtrusive or to match your rod’s finish better. how has the sugru held up? Hi Mike, still there. I haven’t tried to remove it yet, but it’s on there solidly. Hi Mike, I don’t use that rod. 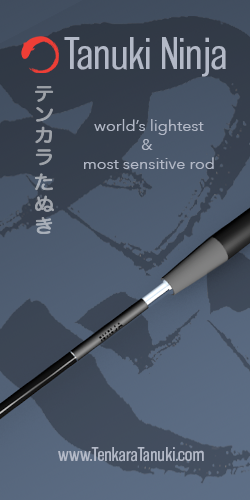 I’m pretty much exclusively fishing Oni rods now except when someone sends me a rod for testing. great idea! I took a small hook (size 16) and cut off the eye and pushed it into the Sugru to add a hook holder. 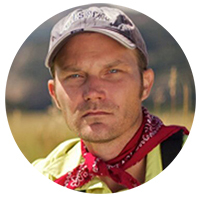 Hi Jason, I love your idea – very inventive! I hope you don’t mind but I’ve just included a link to your article, and a couple of your photographs, in this post about using sugru to modify fishing tackle. Please let me know if you’d like me to include any other references. 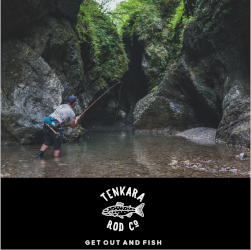 Glad you’re enjoying the tenkara fishing so much – must give it a try some time!